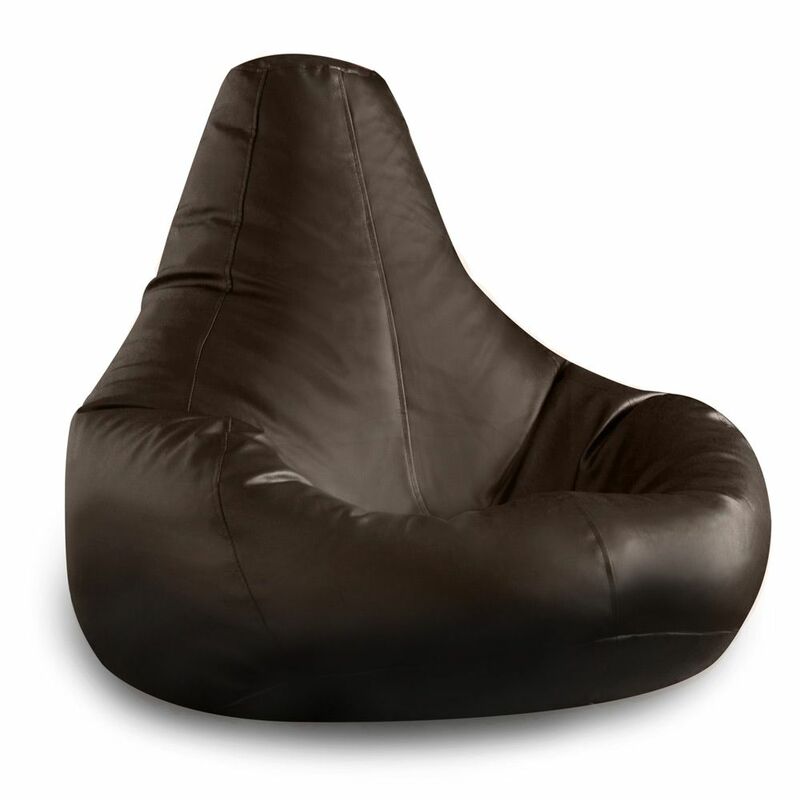 The Gaming Bean Bag Recliner in Faux Leather is stylish, smart and relaxed. This laid-back bean bag is an ideal extra seat in the living room, home office or a must-have for the man-cave. This unique bean bag design features a high back and a deep bucket seat for support and comfort. Sitting into the bean bag creates raised arm rests either side of you, making it the comfiest seat in the house. This high-backed bean bag shape is created with its unique panelled cover. As you sit into the bucket seat some of the FreeFlow bead inside is sent into the tall back creating a bespoke chair shape just for you. Made in high quality faux leather, the fabric is embossed for a realistic look and feel. This incredibly soft bean bag offers a high-end look and durability without the high-end cost. Check out our wide range of recliner and high-backed bean bags in unique fabrics. Assembly The Bean Bag will assume the position shown in the photography when sat in. As this is a shaped bean bag, measurements may vary due to the height and weight of the user and their position. Cleaning Instructions Surface clean only, using mild detergent if necessary. Due to the very slight possibility of dye transfer, avoid contact between dark and light coloured textile surfaces. Fantastic delivery service, emailed me with a hour slot. My son loves his new bean bag which he got for his birthday would definitely recommend. Got a couple for the man cave in my home - super comfortable and very modern and a great price. Would recommend for any gamer! Perfect Christmas gift for Him. Don't hesitate to buy for your gamers. Very pleased with my purchase price on point, quality, style, fast delivery, comfort. It's as described. Trust me you won't be disappointed with this buy ;) Merry Christmas. I have 3 beanbags from beanbagbazaar excellent quality great service wouldn't buy a beanbag from anywhere elce v happy :) just buying my 4th. Bought 2 beanbags and 2 footstools and really enjoying. product quality is good for the price and they are very practical and comfortable. At the £50 offer price they are great value for money compared to others on the market. Would recommend. I have recently received my Beanbag today and am enjoying it from DAY ONE. It is so comfortable and the back support is just wonderful. I have never left a review for any product I ever purchased but this one was too good to keep silent. DEFINITELY recommend the Pewter color beanbag - not too girly and not too masculine. Bought two of these for my boys age 6 and 9 for there bedrooms and safe to say they are huge and the whole family love them as they have spent all Christmas down stairs in the living room. lovely quality and fast delivery. I bought this product online yesterday with the free footstool offer - best offer of its kind on the market - I looked high and low and this was the best priced bean bag for the quality that I could find and it had the free footstool which is a very nice bonus. As I only bought it yesterday it hasnt arrived yet but the delivery options are fantastic...not only is it free delivery and tracked but I got an email to tell me the date of delivery (monday) which was inconvenient for me but there was a button to choose another day of my preference and I will be given a half hour time slot on the day of delivery. This delivery service is far superior to that of any other online company that I have come accross...I have a friend who already has this product and it is awesome - comfy, very good size compared to most bean bag chairs out there and it fits in well with the leather sofas :) 5* all the way! WOW! Firstly I have not left a review in my life, but I feel compelled to do so! Service 5* helpful on the phone, Delivery 6* arrived the next day with full tracking from courier! The bean bag is fantastic, I looked high and low before I made my purchase and I went for this bag based on value and I am sure glad I did! The leather looks great, its comfier than my sofa and its BIG! 10/10 Bean Bag Bazaar I will be back soon for more!! !